I decided to join DECA my sophomore year of high school. I wanted to learn more about business in a friendly and fun environment. As an active member of DECA, I was elected Vice President of Chapter Affairs my junior year, and President my senior year. 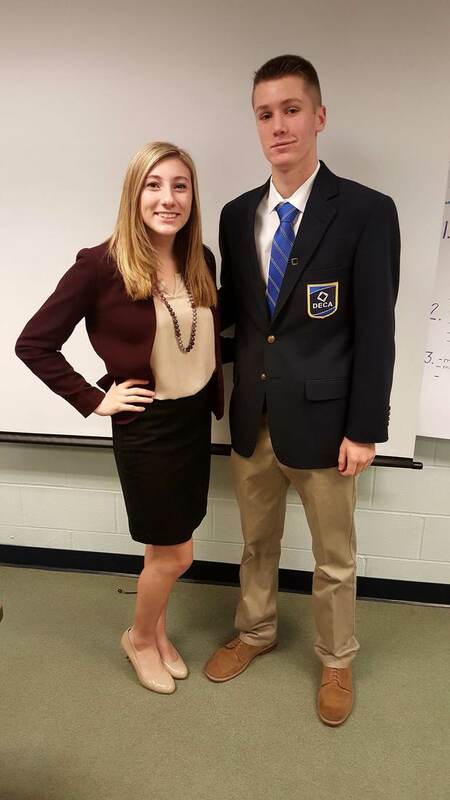 I was passionate about DECA, and always tried to get the whole club involved in everything we did. The other officers and I got the members to participate in completing all of the campaigns, giving us spots to ICDC which was in Nashville, Tennessee. One aspect of ICDC that I enjoyed most was networking. I loved meeting new people from all across the country and creating a connection with them. After three years participating in DECA, I decided to pursue a business degree in both management and marketing with a minor in public relations and media advertising at Sacred Heart University’s Welch College of Business. Here, I became a brother of Alpha Kappa Psi which is the oldest and largest co-ed business fraternity. This allowed me to further develop my business skills and make professional connections with students and business professionals inside and outside of the business school. I also just finished an internship with Tauck, a travel company in Wilton, CT. I worked in the brand management department where I attended company and team meetings, and was able to further my communication and research skills. Aside from this, I am also the secretary of the business administration club, a Welch Mentor, and a member of Chi Omega fraternity. To this day I am grateful for all that DECA did for me. It sparked my interest in business and improved my leadership skills in numerous aspects that carry into my college experience.